One of the main tasks of planning a birthday party is creating corresponding birthday invitation cards. So if you are planning a bash for a male child, friend, colleague, or special someone, you should use a matching boy birthday invitation card. In this article, we provide different examples of boy birthday invitation templates that would work for all boys of all ages. 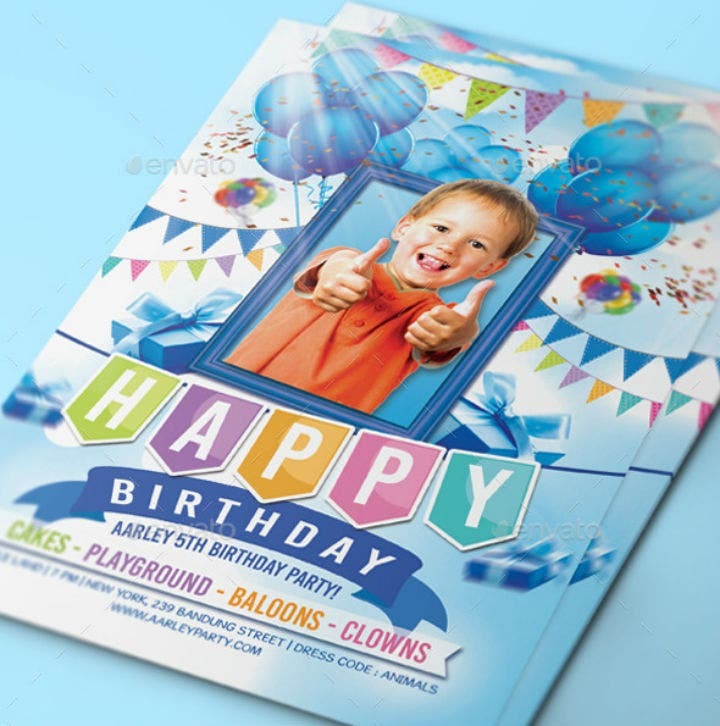 And if you want to make sure that host a birthday party that would be remembered by the one who is celebrating his birthday and those who attended it, you should make sure that you choose the best boy birthday invitation card design possible. To help you in this process, we have included a step by step guide on how to choose the best boy birthday invitation card design for your birthday bash. Listed below are various examples of birthday invitation card templates for boys. Each of these birthday invitation cards are available either as Illustrator or Photoshop templates so make sure that you have Adobe Photoshop or a compatible software program installed on your computer before purchasing the template. Creating any kind of party stationery design requires time and effort especially if you want to make sure that they will make the event more memorable. So when creating a boy birthday invitation card design, one of the first things that you need to decide on is the method for creating them. A common method for creating boy birthday invitation cards is to manually make the invitation cards yourself. Handmade card designs are preferred if you want a birthday celebration to be more intimate and unique. The downside of following the handmade card route, however, is that it can take a long time to complete creating a single birthday invitation card. A workaround for this is to make sure that you either delegate the entire card-making task to another person or block off a specific time or day when you can personally work on the invitation cards. Handmade boy birthday invitation cards may also cost more since you will need to buy additional handcrafting tools and materials if you do not already have them. You may also see kids birthday invitation templates. The second method for creating boy birthday invitation card templates is the use of pre-made templates. These are digital files that are made by professional graphic designers and artists and allows you (the end-user) to readily edit and print out a birthday invitation card from the template. The main advantage of using pre-made boy birthday invitation cards is that you do not have to worry about designing the card cover yourself. The original template creator will have already designed this for you. This is the beauty of using pre-made templates. 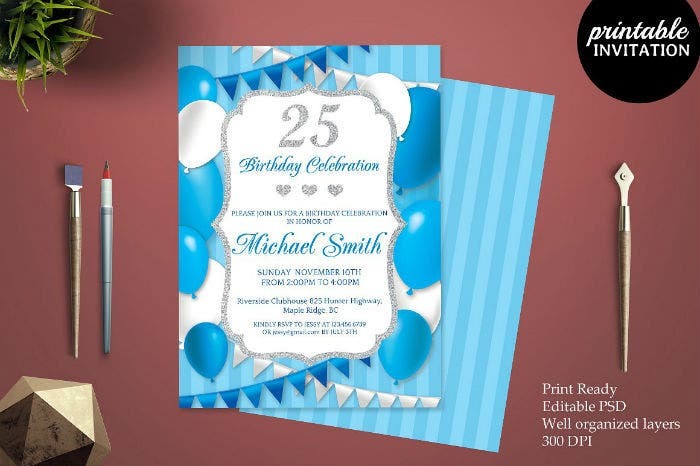 This convenience, along with the ability to make minor template edits, makes the use of pre-made invitation card templates makes it an easy sell for those who do not have enough time or skills to design their own birthday invitation templates. In addition, pre-made templates come at the fraction of the cost of hiring a professional graphic artist to create the invitation card template for you. Birthday invitation card templates usually sell between $5 to $20. You may also see email birthday invitation templates. Now that you know about these two different methods of creating a birthday invitation card template, you can begin brainstorming on what approach to take when you finally create a boy birthday invitation card template. Carefully weigh on the different advantages and disadvantages of each method and have fun along the way. 1. Look for a template with design elements that you love. Just like choosing anything for yourself, your main criteria when choosing a birthday invitation card template should also be how much you love the template’s design. Look for graphic design elements that speak to you, the birthday party theme you wish to have, and/or the person who is celebrating his birthday. You should look for a birthday invitation template design where all these design elements all align. The best boy birthday invitation card templates often have complementary designs that make them stand out more. 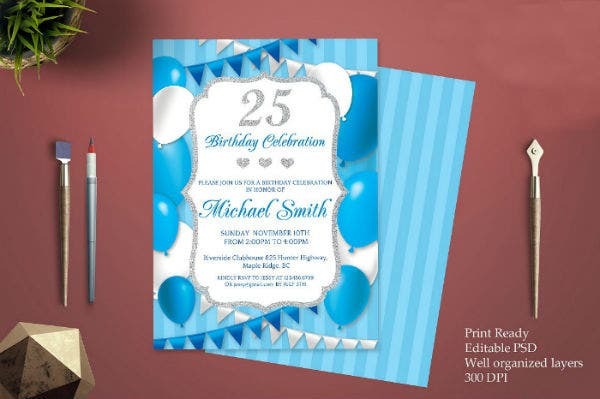 For example, if you are planning a birthday bash for a male young adult, it would be best to choose a more subdued invitation card design like the ones used in the Blue 25th Boy Birthday Invitation Template. In this invitation card template, the color blue is used to denote that the birthday invitation is made for a male person. 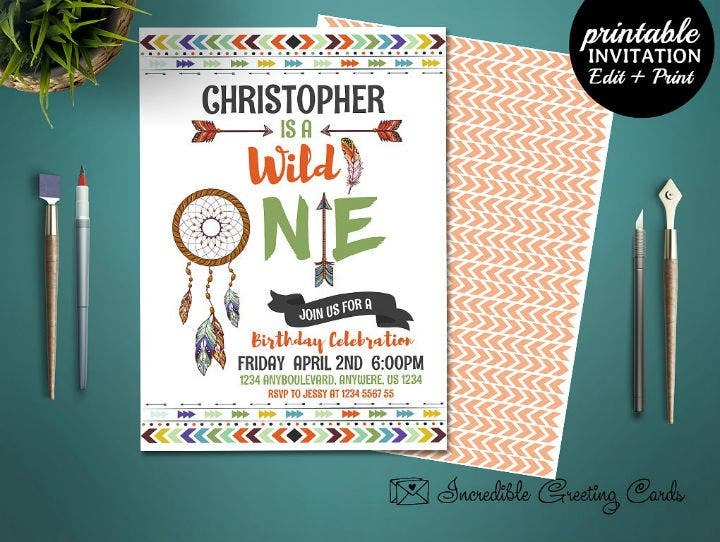 You do not have to incorporate overt graphics and illustrations just to make it clear that an invitation card is created for a boy child or adult. You may also see 60th birthday invitation templates. 2. Find out what the template’s available customization options are. When you choose the pre-made invitation card template route, you should know that you may be required to make edits on the template itself. These edits or customizations can range from simply adding the correct birthday details into the card template. Or, it may even involve completely transforming how the invitation template looks. That is why you need to know beforehand if the invitation card template of your choice will allow the degree of edits you wish to make. You may also see 80th birthday invitations. As a general rule, Photoshop, and InDesign templates tend to include full edit options to its end users provided that you also have the compatible software tool installed on your computer. If you find a birthday invitation template design that you like but it is not fully editable on your end, you may ask the template creator if he or she can edit the template on his or her end. There are some graphic artists who allow this as long as you are willing to pay extra for the extra work they need to do. 3. Be honest with your editing skills. Another factor to consider prior to choosing any boy birthday invitation template design if your own editing skills. This is an important skill to assess beforehand because the end result of your birthday invitation card designs will depend on it. As we have mentioned earlier, using pre-made birthday invitation card templates will require some knowledge of editing or graphic design. 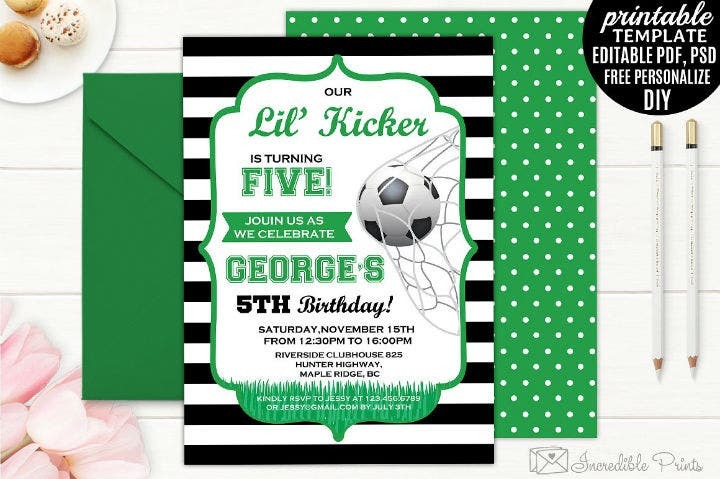 And if you want to make sure that you are creating a unique boy birthday invitation card, you will need to personalize the card template that you have purchased. To successfully do this, you need to learn how to use different graphic design software tools like Adobe Photoshop or Illustrator. So if you do not know how to use any of these graphic design software tools, it is best to delegate the task to another person or you should take the time to learn how to use these software programs yourself. There are a lot of free Photoshop and Illustrator tutorials you can learn from online to make the entire process easier and quicker. 4. Determine how much time do you have. The next factor to consider when creating a boy birthday invitation card template is the amount you have before the actual birthday event. Proper birthday invitation etiquette tells us that invitation cards should be sent 4 to 6 weeks before the actual event. This gives your guests ample time to prepare for and pencil in your event into their schedule. This also means that as the birthday party planner, you need to work on your birthday invitation cards in advance. You can use pre-made invitation card templates or create them by hand as long as they are all done and sent to the guests weeks before the birthday party. But if you are not confident that you have the time to complete the creation of the invitation cards, it may be best to look for a quicker and more efficient way to complete the task. A sample workaround will be to ask for other people’s help or to make sure that you have enough time to complete the task before the deadline. You may also see teenage birthday invitation templates. Use the list of different factors listed above as a guide in creating and designing your own boy birthday invitation cards. Remember, this list is not an exhaustive one. So feel free to add or modify it depending on the situation you are in. Have You Chosen a Boy Birthday Invitation Template Design? Factoring in gender and birthday invitation card design selection should not really be that important. If you are someone who is planning an all-out birthday bash for a male person, your invitation card design choices should not just be based on society’s constructs on what boys should like. A common example is that boys and anyone who is male should only like masculine colors and designs and any boy who likes something different can be considered too girly or their design choices inferior. Instead, what we should do is approach the task of invitation card selection (and other aspects of life) with the mindset that a birthday invitation card should reflect the creator’s and the birthday celebrant’s own interests. By doing this, we are sending a message that each person’s taste (in card design, reading, etc) is in no way illegitimate or less compared to another person’s. You may also see 40th birthday invitation templates. If you found this article useful, do not forget to share it on social media or bookmark the article.